Karen is a graduate of the Midwest College of Oriental Medicine in Chicago and received a Bachelor of Science in Nutrition and a Master of Science in Oriental Medicine. 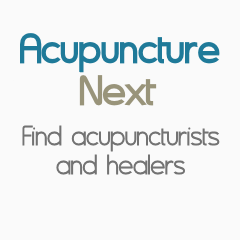 She is a licensed acupuncturist in the state of Illinois as well as a National Certification Commission for Acupuncture and Oriental Medicine (NCCAOM) certified herbalist. She is also a certified Acupuncture Detoxification Specialist (ADS) and provides ear acupuncture as a part of a comprehensive model of care to help with addictions, PTSD, and behavioral health. She enjoys working with a variety of conditions such as emotional, stress-based conditions, anxiety, depression, digestive disorders, and women’s health. She believes in building partnerships with clients to promote their better health and optimal well-being through compassionate care to achieve an individual’s balance of mind and body.